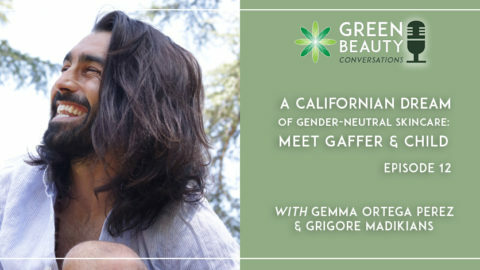 We are so excited to introduce our brand new Green Beauty Conversations podcast to you! This article will introduce our new podcast, as well as sharing an exciting competition which we’ll be running until midnight UK time on March 6th, 2018. Read on to find out how to enter. 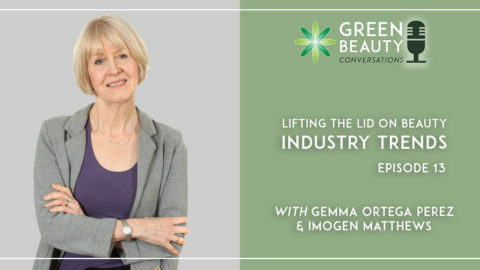 The global green beauty community looks to Formula Botanica for guidance on major events in the industry, such as new ingredient releases, innovative formulation techniques and indie business guidance. To cater for this growing need, the school is launching its new Green Beauty Conversations podcast in March 2018. 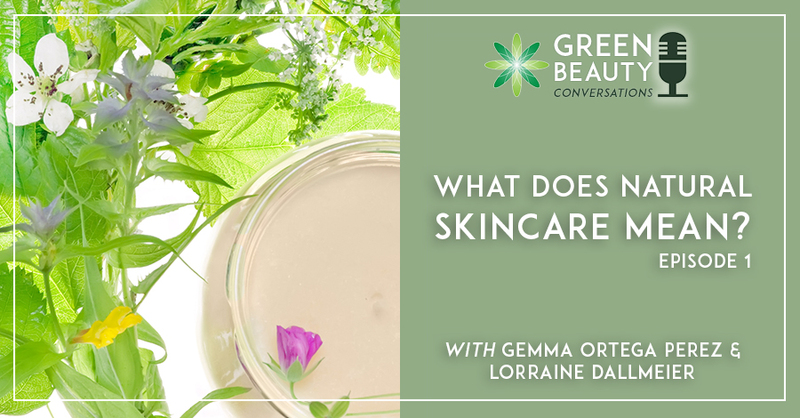 The Green Beauty Conversations podcast will focus on key areas that Formula Botanica’s tens of thousands of wider community members want to hear, aiming to demystify topics that are confusing and subject to misinformation. The podcast will bring together a variety of experts to pass their knowledge on to the green beauty community. All this knowledge and information will be in one easy to access place. 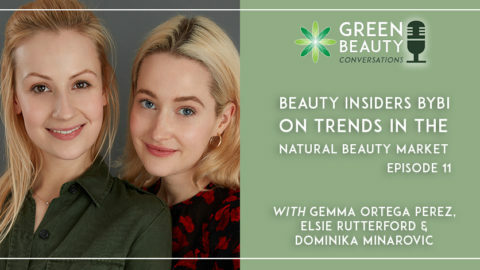 The Green Beauty Conversations podcast allows listeners to engage with subjects such as indie beauty business growth, ingredients, creating a brand, as well as innovation in formulation. 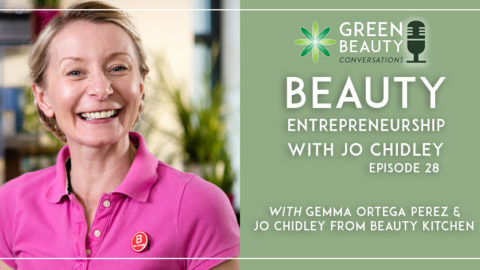 Listeners will also get the chance to hear from established brands in the green beauty sector. 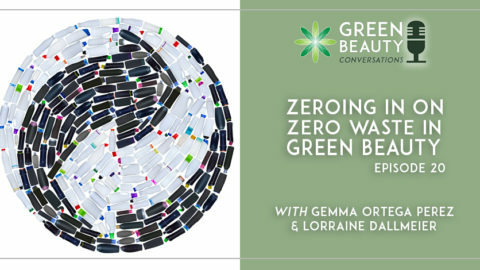 We are proud and excited to lead the global green beauty conversation. Our brand-new podcast allows our award-winning school to continue supporting indie beauty brands around the world. Episode 1 – What does natural skincare mean? The word “natural” is used a lot in the green beauty movement. But what does it really mean in relation to cosmetic ingredients? We explore the 4 shades of natural. 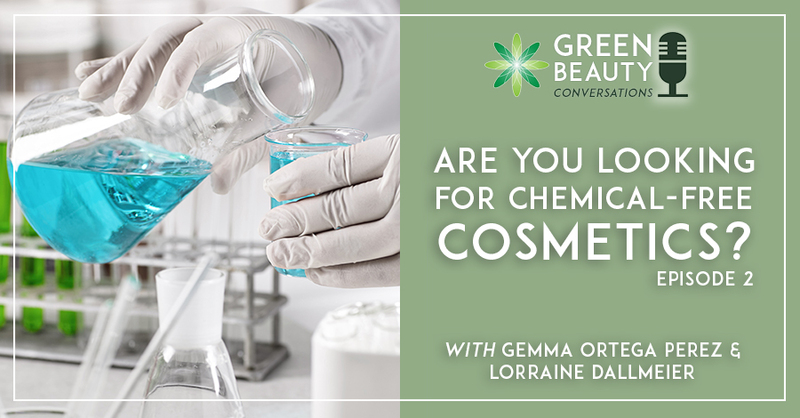 Episode 2 – Are you looking for chemical free cosmetics? I am sure that we have all come across the term ‘chemical free’ somewhere. But what do people mean when they use that term? Are they just ignoring that all matter is a chemical or do they mean something else? We explore in more detail. 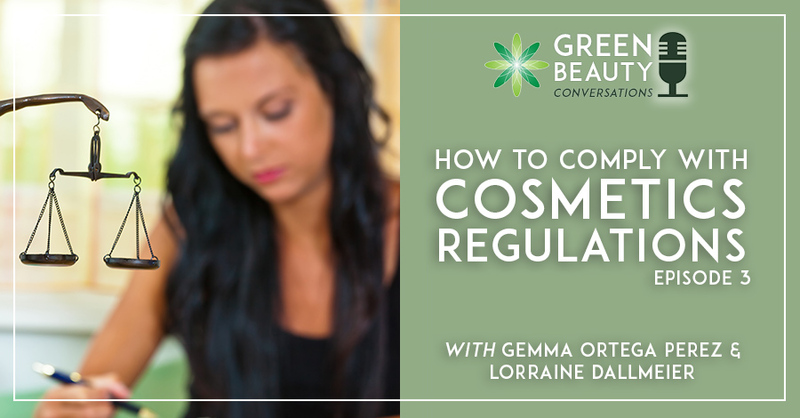 Our community is worried about cosmetics regulations and in this episode, we help clarify what they are, how they work and more importantly, provide some simple steps that you can take towards cosmetic compliance. We want your help to get to the top of iTunes! 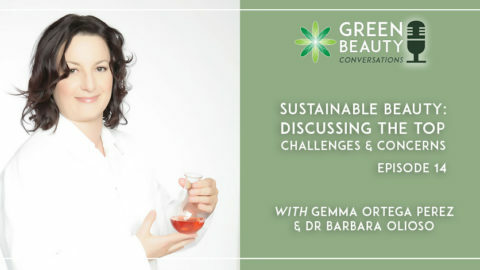 To help us get there, we are giving away one place on our International Organic Skincare Entrepreneur Program (worth £2000) to celebrate the launch of our Green Beauty Conversations podcast. iTunes is software made by Apple for listening to music, audiobooks and podcasts. 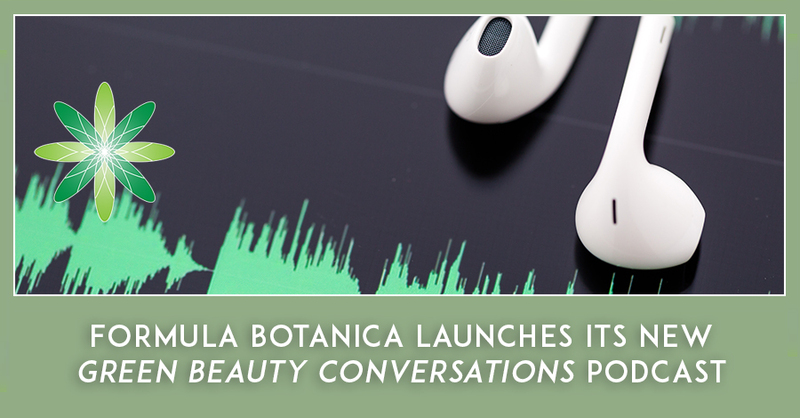 Formula Botanica’s new podcast is listed on iTunes. Not sure how to subscribe to a podcast on iTunes? Follow Apple’s advice by reading this article. 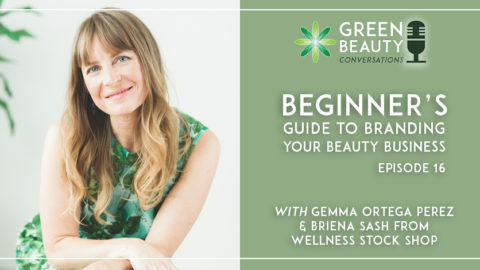 Access the Green Beauty Conversations podcast in iTunes. The first three episodes are now live! Once you’ve subscribed to the podcast, you’ll be able to download them and listen to them. Download them in iTunes and listen to them directly there if you want to be eligible to enter the competition. Once you’ve listened to the first episodes, please leave us an honest review in iTunes. It doesn’t matter where you are in the world, once you’ve listened to the podcast then you’ll have the opportunity to leave a review. Find our podcast in iTunes, click on ‘Ratings and Reviews’ at the top of the page and then leave a rating and review. Please complete this form and tell us that you’ve completed steps 1-3 and tell us the name/email you used to leave a review, so we can find you. Once you’ve completed this step, you’ve submitted your entry and you now stand a chance of winning a place on our International Organic Skincare Entrepreneur Program! Good luck! Once we’ve received all of the entries, we will choose a winner at random. We will then verify that winner against their public review in iTunes and notify them by email of having won the competition. We will then publicly announce the winner. Please note that if we have not been able to verify the winner’s public review, then we will choose the next random name out of the hat. Click on the green buttons to read the answers. A podcast is a free downloadable audio show that enables you to learn while you’re on the go. To subscribe our podcast for free, you’ll need an app to listen to the show. Do I need an Apple device to enter the competition? No, you don’t. iTunes is available to download on every computer and even has an app available in the Google Play store. How can I subscribe and listen on iPhone/iPad/iPod? Grab your phone or device and go to the iTunes store and search “Green Beauty Conversations” This will help you to download the free Podcasts App (produced by Apple) and then subscribe to the show from within that app. Every time we produce a new episode, you’ll get it downloaded right on your iDevice. How can I subscribe and listen on Android? Download the Stitcher Radio app (free) and search for “Green Beauty Conversations.” Or, if you have already downloaded a podcasting client, follow the directions in the next bullet point. Please note that you won’t be able to enter the competition this way. How can I subscribe and listen if I don't have a mobile? You can always listen to the show by clicking the audio file at the top of our blog post pages which host our podcast. Click here to listen to episode 1. We are also uploading all of the episodes to YouTube. Please note that you won’t be able to enter the competition this way. How can I subscribe and listen if I have an Apple Mac? You can also listen on your Mac by going to iTunes and selecting podcasts from the dropdown menu and searching for ‘Green Beauty Conversations’. How can I subscribe and listen if I have a PC? 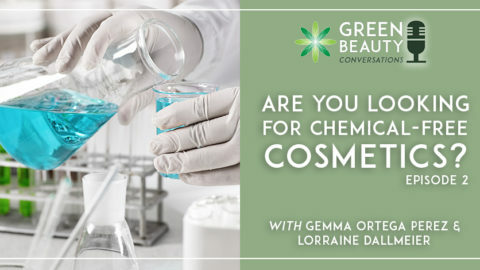 You can listen on your PC by downloading iTunes or by going to the Stitcher website: and signing up for a Stitcher account: https://www.stitcher.com and searching for ‘Green Beauty Conversations’. Please note that you won’t be able to enter the competition unless you use iTunes. How can I subscribe and listen if I am a podcast enthusiast? If you already listen to podcasts and have a podcatcher that you prefer, the feed you’ll need to add is http://formulabotanica.libsyn.com/rss. Please note that you won’t be able to enter the competition this way. Why can't I see my review in iTunes? Apple is sometimes known to ‘throttle’ reviews if many are submitted at the same time. We are experiencing very high traffic numbers to our podcast at the moment so it may take some time for your review to show. If Apple isn’t letting you leave a review, we recommend trying again in a few hours. We will only accept competition entries that have successfully left a review in iTunes. NO PURCHASE IS NECESSARY TO ENTER OR WIN. A PURCHASE WILL NOT INCREASE YOUR CHANCES OF WINNING. ALL LAWS AND REGULATIONS APPLY. THIS COMPETITION HAS NO AFFILIATION WITH ITUNES, APPLE OR ANY APPLE-RELATED BUSINESSES. This Formula Botanica Contest (the “Contest”) is open to anyone anywhere in the world. Employees, Contractors and Consultants of Sponsor (as defined below) and other companies associated with the promotion of the Contest, and their respective parents, subsidiaries, affiliates and advertising and promotion agencies, as well as the immediate family (spouse, parents, siblings, and children) and household members of each such employee, are not eligible. The Contest is sponsored by Formula Botanica, a trademark registered and owned by Herb & Hedgerow Ltd, of Wadebridge House, 16 Wadebridge Square, Poundbury, Dorchester DT1 3AQ, United Kingdom. The Contest begins on 28 February 2018 and ends on 7 March 2018 (the “Contest Period”). Entries that are submitted before or after the Contest Period will be disqualified. Submissions will be accepted for the duration of the Contest Period. Online: You may enter by visiting our website at the following hyperlink: https://formulabotanica.com/2018-competition and following the directions provided to fill out and submit the required entry information. By entering the Contest online, you understand that you will be automatically subscribed to our mailing list, and may receive communications from us from time to time in the future, and you expressly consent to agree to such subscription and communications. Limit one (1) submitted entry per person for the duration of the Contest Period, regardless of method of submission. Entries received in excess of the stated limitation will be void. All entries become the property of the Sponsor and will not be acknowledged or returned. On or about 8 March 2018, the Sponsor will select the potential winners in a random drawing, without replacement, from among all eligible entries received. The odds of being selected depend on the total number of eligible entries. The potential winners will be notified by email. The Sponsor will attempt to notify each potential winner via email on or about 8 March 2018. If any potential winner cannot be contacted within five (5) business days after the date of the first attempt to contact him/her, or is disqualified for any reason, the Sponsor may select an alternate potential winner in his/her place at random from the remaining non-winning, eligible entries. Each winner will be required to complete, electronically sign and submit a Declaration of Compliance, in form as provided by Sponsor, within five (5) business days of the date notice or attempted notice is first sent, in order to claim his/her prize. If a potential winner cannot be contacted, or fails to submit the Declaration of Compliance within the required time period, that potential winner forfeits the prize. If the potential winner is at least 18 but still considered a minor in his/her jurisdiction of residence, Sponsor reserves the right to award the prize in the name of his/her parent or legal guardian, who will be required to sign the Declaration of Compliance on the potential winner’s behalf and fulfill any other requirements imposed on the winner as set forth herein. Potential winners must continue to comply with all terms and conditions of these Official Rules and with applicable law, and winning is contingent upon fulfilling all such requirements. Sponsor will take reasonable steps to ensure that all prizes are fulfilled within approximately thirty (30) calendar days after the conclusion of the Contest (the “Award Period”). 1 prize will be awarded. Main prize – one place on Formula Botanica’s International Organic Skincare Entrepreneur Program, starting in March 2018. Prize valued at £2000. Except where prohibited, each entrant agrees that any and all disputes, claims and causes of action arising out of, or connected with, the Contest or any prize awarded shall be resolved individually, without resort to any form of class action, and exclusively by the appropriate court located in England and Wales, and submits to the personal jurisdiction of such courts, waiving any and all objection thereto, including without limitation objection based on forum non conveniens. All issues and questions concerning the construction, validity, interpretation and enforceability of these Official Rules, entrants rights and obligations, or the rights and obligations of the Sponsor in connection with the Contest, shall be governed by, and construed in accordance with, the laws of England and Wales, without giving effect to any choice of law or conflict of law rules which would cause the application of the laws of any jurisdiction other than England and Wales.